Science, art, and tech: what a wonderful combination! When I ever have time to really think out a lesson plan, I try to get as creative as possible. I try to find ways to get the students truly psyched about the experience. And this, in turn, improves their chances of actually retaining the information. My students do stuff all the time that secretly cracks me up tremendously, but I have to be stern and enforce the rules. Especially with 7th period high school art. Reposted from previous blog, dated October 12 2006. This was our eighth week in my school district. During the first week of classes, I had my middle schoolers and my high schoolers do pre-instruction drawings of another student. I used to have a pretty big blog called “I’m the Boss of Me” when I was a freelance designer. “Dawn’s Brain” was my design portfolio. Now I am a full-time art and drama teacher, so I thought I’d blog about teaching instead. This is where I will journal my experiences as a teacher from the very first full-time year forward. 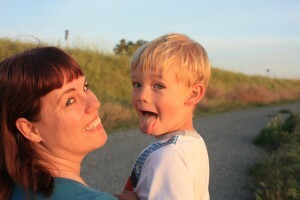 I am a science educator, web designer, artist, and mom. I have an AS degree in biology, a BA in fine art, and an MA in education. I have earned teaching credentials in biology and art. I have been designing for Web and print since 2000, and I taught high school and college for 12 years. I live in California.